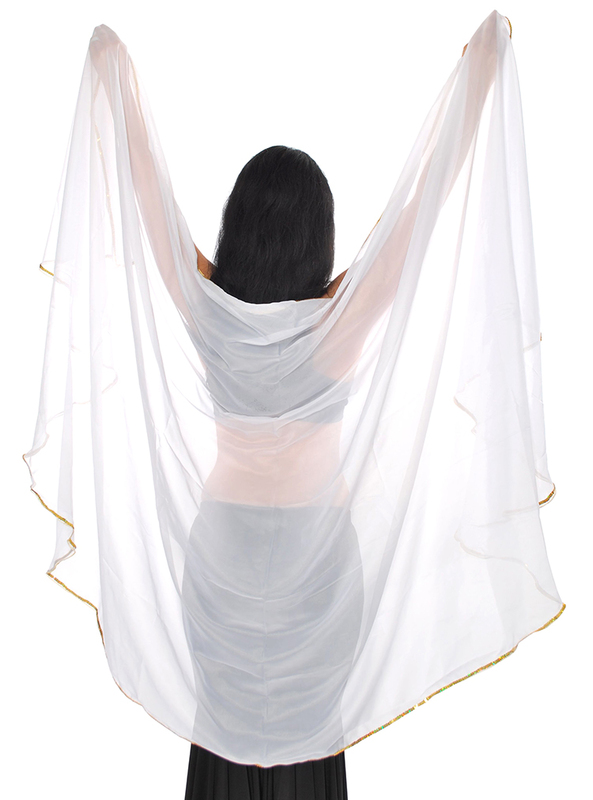 This sheer chiffon semi-circle veil for belly dance practice or performance features a lovely gold sequin trim. High quality chiffon makes this veil catch air gracefully, and the light trim gives it just enough weight for diverse veil work. Just beautiful ! I used this Veil in a performance the other night with a black costume. I got a lot of compliments on it ! Thank you for your excellent customer service as well ! A: Hi Melie, this chiffon is 100% polyester.